We offer designer kitchens for homes across the Clapham area with a focus on contemporary designer brands such as Nolte and Hacker. Some say that the kitchen is the most important room in the house. And that could well be true. In this modern day and age we have easy access to an abundance of fresh food as well as tinned and frozen food. But it wasn't always like that, especially in Clapham. Way back people ate locally grown food. Bread from the baker, meat from the butcher and water from nearby springs. A large amount of the day would be dedicated to getting food, preparing it and cooking it. These days with even the simplest of cooking instruments whole meals can be served up in minutes leaving us all plenty of time to wonder what to do with all that new found free time. The pace of life in Clapham was very different years ago, but people still found time to commute into London and to carry out trades and conduct business making huge profits, often in the financial sectors bringing their money out to the cleaner nicer rural areas. Today they do this by train or car or even helicopter, but back then the gentry did it by horse and carriage, opting in the early 1800's to do it by train and in the early 1900's by tube. 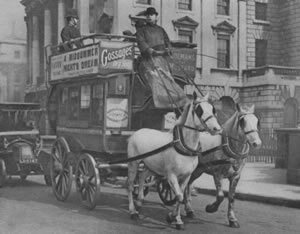 The famous Clapham Omnibus, as shown below would take people from Clapham into London, and its worth noting gained fame for being used to refer to the interests of the average person. Today people drive all over the place, generally at the same speed as the above omnibus, but without the need to take care of horses. 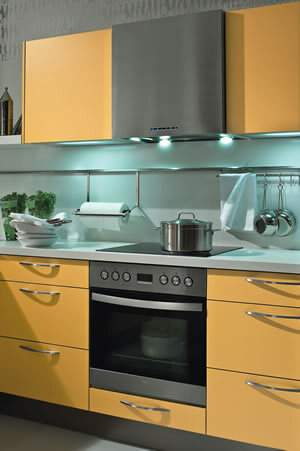 A quick trip to the supermarket and a housewife can stock a well designed kitchen, such as you would get from Lifestyle Design + Build, with enough food, courtesy of modern mefangled refrigeration to last months, in a single afternoon. Of course getting food wasn't always that easy, even after the invention of the tin can and instant cake. 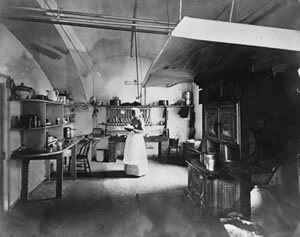 During the war food was rationed and kitchens were bare. The war actually happened and they had anti-aircraft guns positioned on the common and everything. Many of the houses in Clapham actually got hit by Nazi V1 and V2 rockets. Maybe your house? the house in Clapham you didn't buy, but would have in a parallel universe?. Either way, you probably have another house, and have an interest in a new kitchen? And why not!!! They're all the rage, and Lifestyle Design + Build can help you get the kitchen of your dreams. From our London showroom Lifestyle Design + Build can help walk you through the computer aided custom design of your very own kitchen using Compusoft 3D Kitchen Designer. The software can help to quickly build up a kitchen to your specification and has a wide range of presets to help automatically configure arrangements as required. 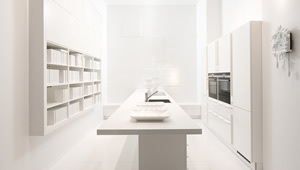 Our designers are known for creating beautiful and functional kitchens. We offer a full range of styles, contemporary, traditional, classic, hand painted, natural wood - the choice is yours. 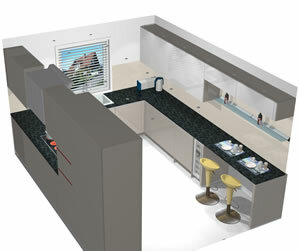 Our designers are on hand to advice you on the latest trends, and the best technology the industry has to offer. They can take you through every step and configure options to suit your requirements including flooring, worktops, lighting, appliances and all those little details that will make such a difference to the enjoyment of your newly made-over kitchen. The following are links to project case studies of the work we have carried out in the Clapham area. 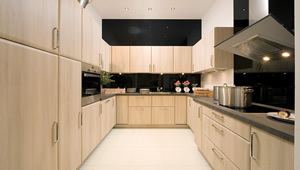 Lifestyle Design + Build are specialist suppliers of Nolte kitchens. Above all, our workmen ensure that the job is done perfectly with the minimum of disruption to you or your neighbours. We take a pride in providing competitive quotes. Where appropriate home visits can be made to examine your existing kitchen in detail although this is not always necessary in the first instance. Our quotations are rarely beaten and when considered against our high standards, personal service and efficiency we are sure you'll agree that they're unbeatable. As a specialist local contractor with a focus on the Clapham area are are always keen to hear from Clapham residents looking to get a fresh look and feel for their kitchen. For further information, please feel free to drop into our showroom or call for an informal discussion.